Tired of hearing about all those new Superfoods that have been discovered deep down in a remote jungle used for 10000 of years by some long forgotten but found again tribe who happen to live at least to the ripe old age of 110 years if consumed trice a day..blah blah blah. …and the masses goes for it. Ah, eternal youth, all for only $ 80 a pop if you order today. So I thought I will disclose MY Super-food, that I assure you will not get me laughing all the way to the bank as some celebrity Doctor in the land of OZ , but it will make me feel better being able to share this simple and inexpensive morsel with you. About a year ago I returned from South East Asia with an ear infection, that requires me to see my ear doctor almost regular as it flares up several times a year. Not only do I have to give in to these hated antibiotics but my hearing has deteriorated and apparently my facial expressions are not very attractive when I am uttering… HUH, what did you say ? Forever seeking the natural remedies, I suddenly remembered my Oma’s cure for any oncoming sicknesses or pains, that we as children could possible succumb to. The ultimate medicine for all and everything anytime anywhere. It did not matter what ached you, tooth, ear, head, tummy or any other part of your body, out came the proverbial garlic, either cooked up in a witches brew kind of concoction or a glove would be wrapped up in gauze and simple shoved in your ear overnight. I do not remember ever seeing a Doctor in those days. Fast forwarding to today, as I find myself back in Vietnam, with a flared up ear again and I am determent to use my new found Super-food on myself. Just a word of caution never expose your skin to raw garlic gloves, it burns. 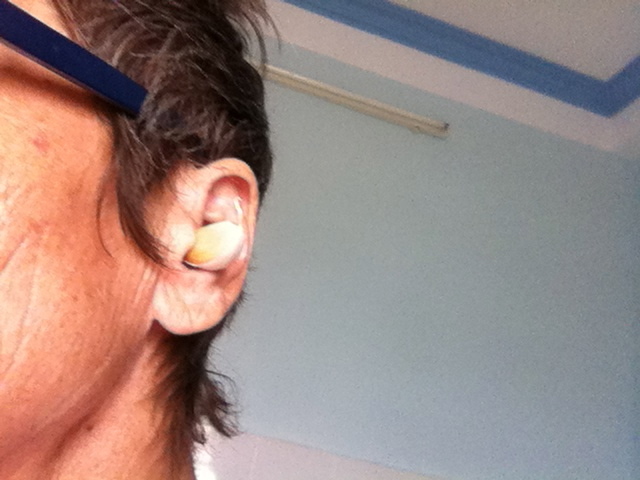 It appears my memory is starting to fail me as well …..Second try, the gauze around the glove worked well, the itching that goes with an ear infection gone away and I am feeling the healing has started in my ear. Garlic is anti-everything, anti-inflammatory, antibacterial, antioxidant it also lowers blood pressure, contains Vitamin A B C and E nature’s true antibiotic. Consuming a raw chopped up glove daily on an empty stomach is most effective. It not only cures other ailments such as Candida but your overall well being and health will improve and some of your aches will disappear in no time. Vampires and friends might vanish around you but consuming fresh parsley could prevent that. You could also choose to take garlic capsules which will have undergone some processing and are not as potent but better then nothing. Here is a concoction that I have been brewing up lately and somehow it tastes pretty good and makes me feel a lot better every day. First of all throw away your garlic press as it will retain the juices of the allin oil, the all important medicinal component that makes this the Super-food after all. add garlic to all your cooking- increase amount as cooking kills most of the enzymes. 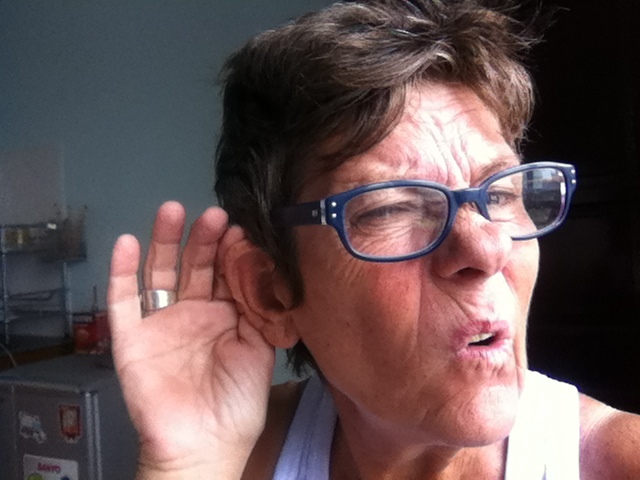 As for my hearing….HUH ?